The season loved by nearly all the children, the season of snowman, polar bears and chilly winds, the ‘winter season’ is round the corner and once again we are bound to think of ways to keep our children indoors, preventing them from the unwanted cold that is accompanied with this season. 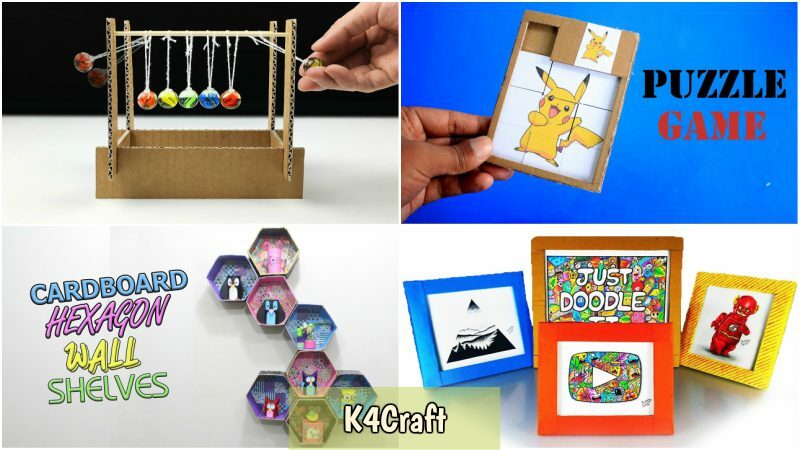 Rather than bribing your kids with unhealthy ways to stay indoors, why not provide and guide them with unique, easy and attractive DIY craft ideas that will not only help you to keep your child busy and safe indoors but will also enhance his creativity thus fostering his overall development. Think of creating your own snowman with your child at home and that too in just 30-40 minutes! 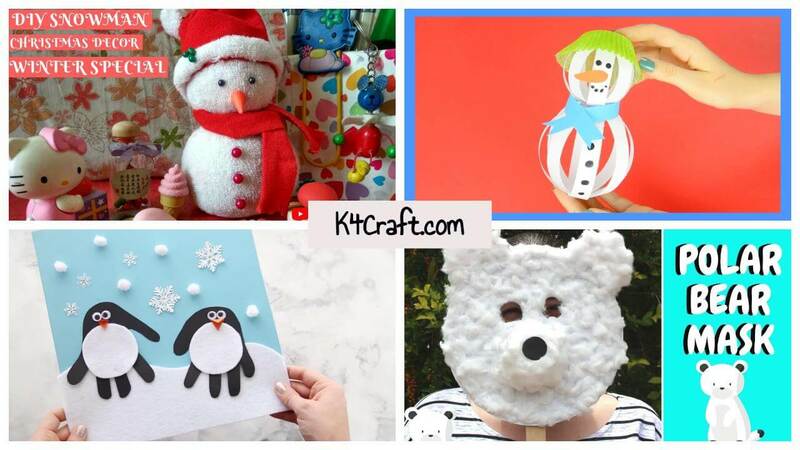 Ever thought of making a child’s all time favourite snowman with simple and easily available materials like sock, rice, craft pins, red wool, glue orange paper and rubber bands and that too in super easy steps? 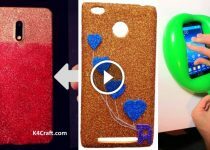 Running short of time and don’t want to get into the trouble of using too many materials for a craft? This video have an easy and simple way to make a snowman by just using paper strips and glue and it will be the perfect option for you. For all those who have a love for greeting cards, this simple and unique snowman pop-up card is a perfect way to show your creativity skills. Just a little paper folding and cutting, and with the final touches using a marker, your card is ready. So this winter, let your child wish his teachers and friends a happy winters with his personalized snowman pop-up card. Follow the steps provided in this video to make your own beautiful card. Here is a fun-filled activity that you can carry out with your kid to develop his interest in crafts and to get an amazing handprint penguin that can be used to decorate your walls. Amongst all the crafts, the one that attracts kids the most is face masks. Being an entirely different character altogether, face masks are an amazing tool to enhance a child’s creative and language development. This winter, take up this easy activity of making a polar bear mask simply by using a paper plate, cotton, glue, white and black sheet, a coin, stick and scissors. Use a coin to cut out two eye holes on a paper plate and cut out two large circles from a white sheet. Glue them at the top ends of the paper plate to make the bear’s ears. Take a plastic bowl and stick it below the eyes, making the nose of the bear. Cover your bear entirely using cotton and let it dry. Cut out a small black circle and paste it in the nose to complete the final touch. Add a Popsicle stick in the bottom center so as to provide a handle to your mask and your mask is ready. Use this mask to have an amazing time with your child! If getting into all the DIY stuff seems like a mess to you, we have a simple activity that you can conduct with your child to keep him busy and to enhance his motor skills as well. Just take a print out of a snowman’s body outline. Provide your child with some cotton balls and glue and ask him to cover the snowman’s body with the cotton balls. This winter, choose one of these amazing winter crafts for kids and let your child explore the artist within as every child is an artist in some way or the other. Sakshi Jain, graduate (B.A Prog.) from Janki Devi Memorial College. Currently pursuing a PG diploma in event management from NIEM. A fun-loving girl, likes to write, travel and listen to music.